Unlike issue three’s post with seven pictures, this one won’t have any. I feel like seven is definitely the max any of my posts should have. I do know of sites that do more, and some that even put the whole comic up. It isn’t like I am taking a stance or anything silly like that. This issue has 46 text pages with various artists’ art used throughout. The first 17 pages cover the final two parts of Kitty Pryde and Wolverine. So right there, that is too many pages to post. Kitty doesn’t appear again until Rachel’s return and her fight with Selene on pages 28 and 29. So that is why no pictures. Instead of just choosing a few, I am going with none. Just too many options. 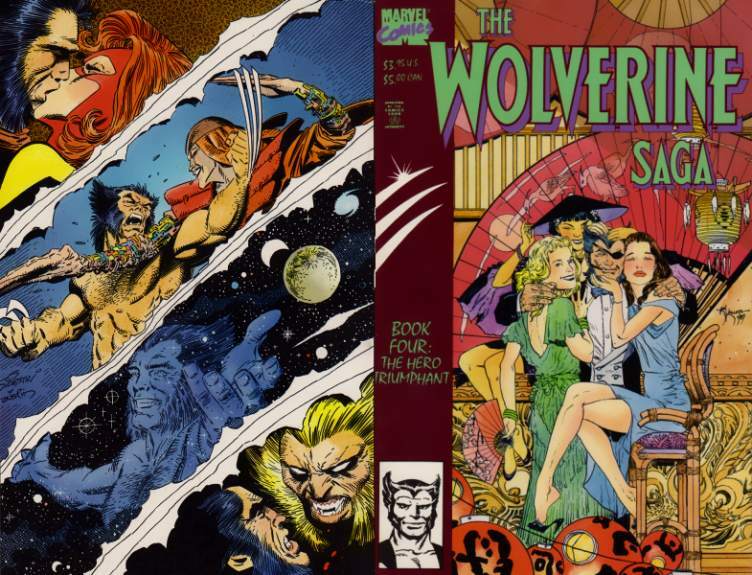 As far as I can tell, the tale of Wolverine ends with issue ten of his first ongoing, as I know Sabretooth plays a big role in that issue. This also ends the W portion of my Father’s Day gift my wife gave me through MileHighComics.com, the gift that keeps on giving.